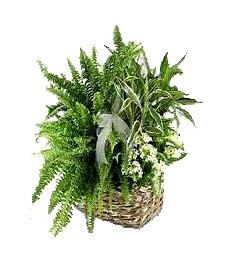 Highlight that special occasion with an assorted array of lush green plants fresh from the garden of eden. 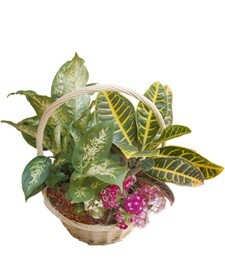 Let the invigorating aroma of fresh garden plants fill the room with the essence of heaven! 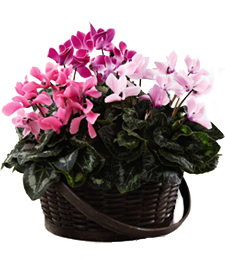 How about that dazzling picture perfect presentation of vivid pink and mystical purple cyclamens to sweep them off their feet? 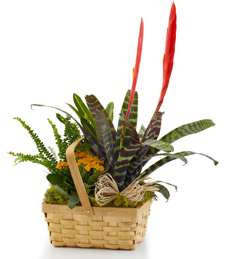 Take a chance and inspire that sensuous side in all of us with a dainty little ensemble of luscious garden plants that speak louder than words! 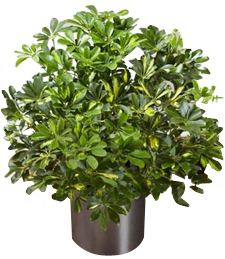 Grace them with a lush green garden plant to highlight your deepest affections. 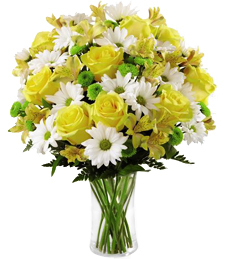 Step back and take a stroll into the garden of grace with just a simple token of your sincerest friendship. What an exquisite lush gift for that special someone! 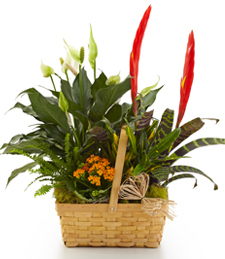 A gift from the gardens airs that sweet aroma of therapeutic relaxation that sets their spirits free! 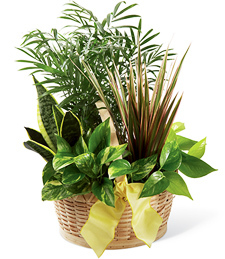 Smell the exotic sweetness of an invigorating array of garden green plants for a fresh glistening garden is always the pathway to holistic healing. Let the release of aromatic pleasure send that special someone into a sanctuary of rest and relaxation from the stresses of everyday life. Spread the message of Tranquil Pleasures in the world for warm thoughts and sincerest intentions are the antidotes of genuine friendship. 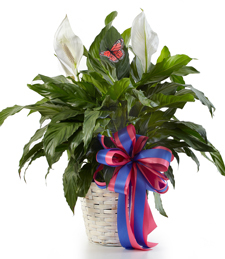 Inspire the moment with an aromatic peace lily to liven up the moment and embrace a cherished loved one. 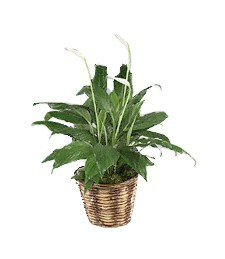 Create an aura of peace and tranquil harmony with the hushed beauty of a peace lily plant. A most poignant and thoughtful gift! 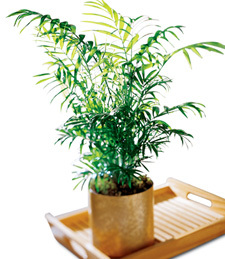 A festive palm brightens up any room and this flourishing arrangement is no exception. 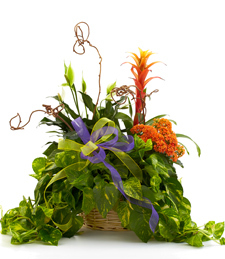 Beautifully planted and stunningly vibrant, this piece is sure to dazzle anyone. 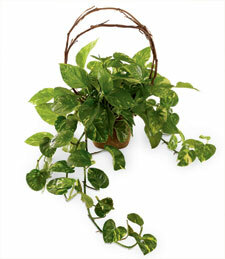 Brighten the room with a touch of sun-drenched greenery! 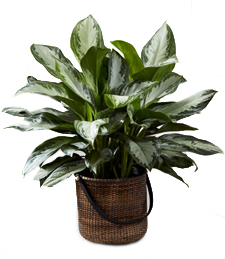 The uplifting nature of a pothos houseplant radiates vitality as well as creating an aura of relaxation and tranquility. 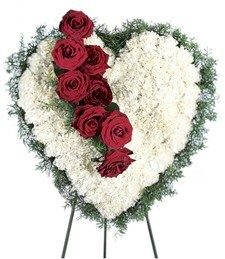 Order from your local florist today! 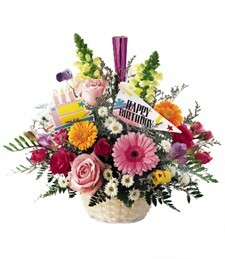 A charming array of pink, blooming flowers and lush greenery, this assortment is a colorful and beautiful medley of life. 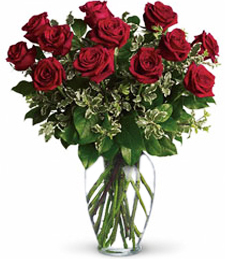 Show the love in your heart with this delightful arrangement. 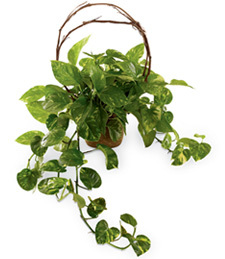 This eco-friendly air cleaner is cleverly disguised as a pothos plant. 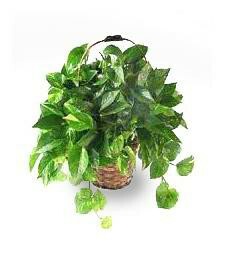 A perfect gift for any modern home. Cleanse their life away from any impurities, stressess, and negative energy with a gift to turn their whole world around! 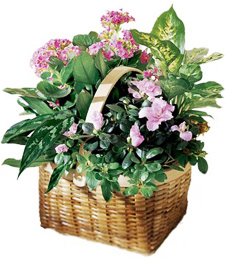 Glowing with warm vitality and exquisite charm plant basket beautifully arranged by an artistic florist. 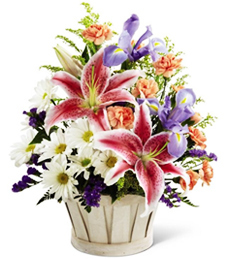 Express yourself--send this delightful bouquet today!